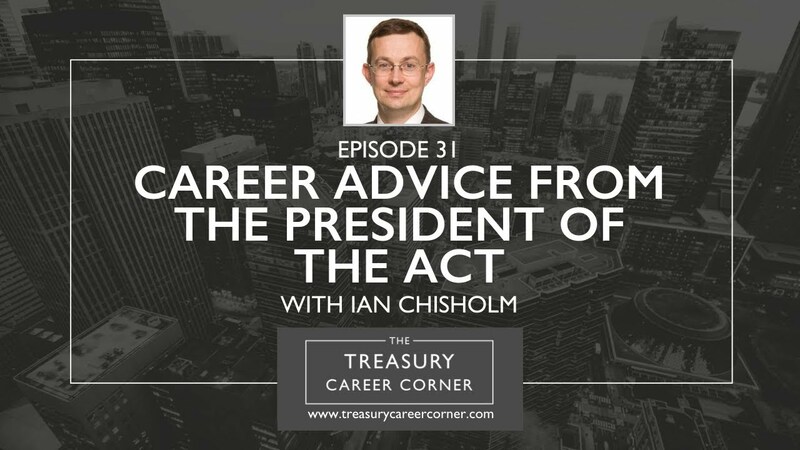 We’ve got another exciting episode of the Treasury Career Corner Podcast ready for you to dive into and in this episode, I’m delighted to be joined by Ian Chisholm, Vice President Corporate Finance at BHP Billiton. BHP is a world-leading resources company with global headquarters in Melbourne, Australia. They extract and process minerals, oil and gas, with more than 62,000 employees and contractors, primarily in Australia and the Americas. Ian is a Treasury & Corporate Finance Leader with strategic and operational experience in global multinationals. He is responsible for all BHP financing activity and management of the $30bln debt portfolio, development of corporate financial strategy, management of bank and credit rating agency relationships. Prior to moving to BHP Billiton in June 2016, Ian worked at Royal Dutch Shell for over 26 years, predominantly in the treasury function. Ian is a qualified Management Accountant (ACMA) and Corporate Treasurer (FCT) and is currently President of the ACT. If you would like to get in touch with Ian, you can connect with him on LinkedIn.